Listing courtesy of Peter V Buonocore (CalBRE #01279107), Keller Williams Larchmont. Sophisticated estate at the end of a cul-de-sac on one of the quietest streets in Amestoy Estates, extensively remodeled 3 years ago. Perfect for entertaining and hosting large functions with grand public rooms and quality of living that flows outside from the inside, in multiple quadrants of the home; 5 exits to multiple backyard areas and decking. Tasteful designer & architect have created unique living spaces for any size family. The house is grand enough to host a party of 100 but owns a floorpan that is intimate enough for a small family with its split level, central living floor plan. The master bedroom suite with en suite bathroom & large walk-in closet, kitchen, dining room, living room, family room, home office (or fully equipped maid’s quarters with separate entrance and bathroom) and multiple outdoor living areas for the most discerning buyer. The house was designed w/no expenses spared to create a low maintenance, highly functional & peaceful adobe. Building size: 4455 sq ft. Please, send me more information on this property: MLS# 19454206 – $2,350,000 – 17330 Cumpston St, Encino, CA 91316. 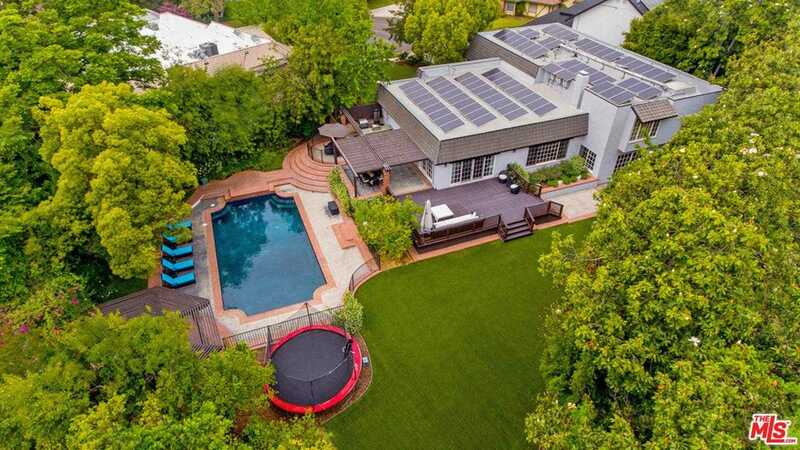 I would like to schedule a showing appointment for this property: MLS# 19454206 – $2,350,000 – 17330 Cumpston St, Encino, CA 91316.